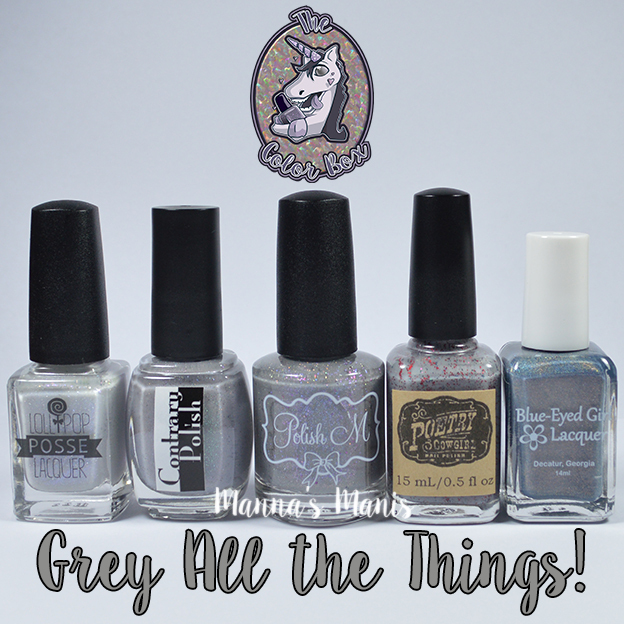 The Color Box: Grey ALL The Things Review & Giveaway! It's that time again..another edition of The Color Box! 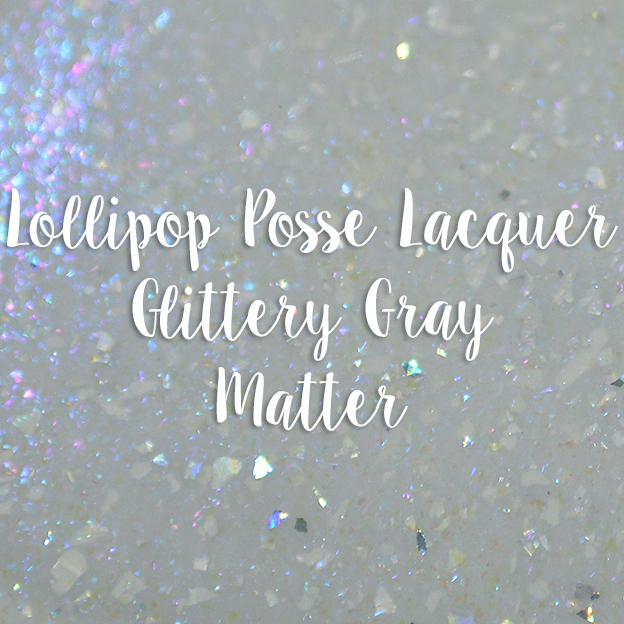 This time around, the fan group surprisingly voted grey for the next color. I was completely shocked! I thought for sure that pink or blue would be chosen, but boy was I wrong. 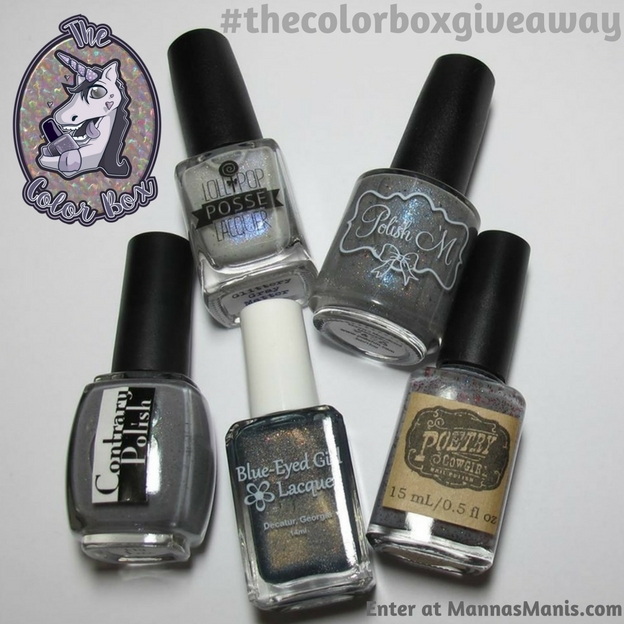 Let's get to the swatches, and be sure to check at the end to see how you could win this box! 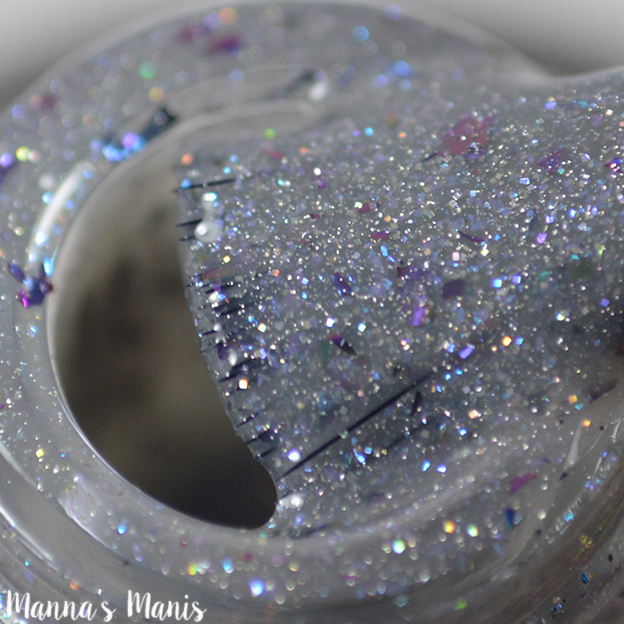 Description: Medium grey with scattered holo, pink/purple to blue/green UCC mega flakies and a purple to blue shifty pigment. Application & Formula: Flawless all around! Zero issues with formula or application. 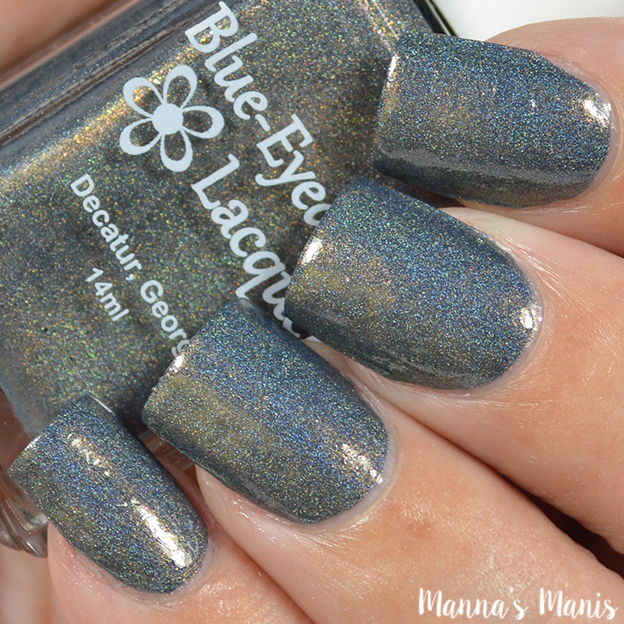 Opacity: Pics show 3 thin coats, but you may be able to pull it off in 2. 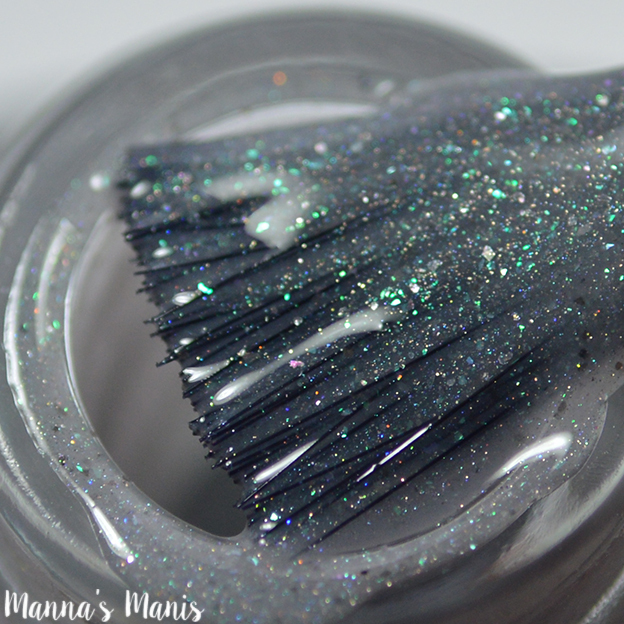 Description: Pale grey with holo, green and purple shifting shimmer and black flecks. Application & Formula: First coat went on surprisingly very sheer, but had no issues building it up to opacity. 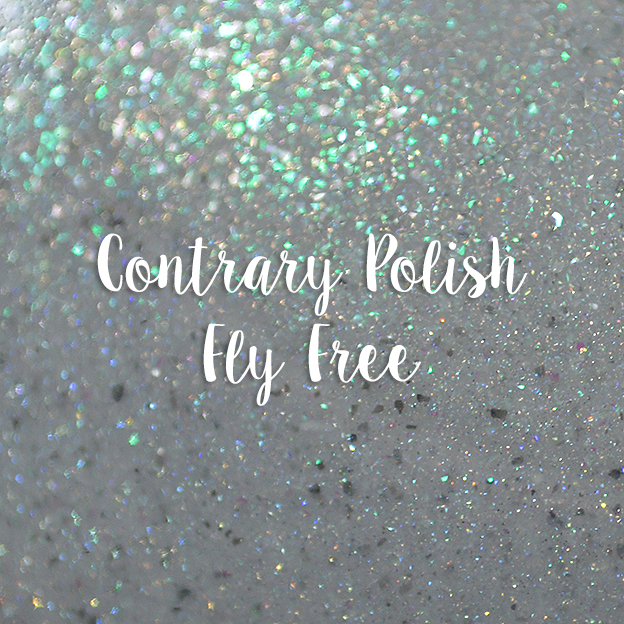 Misc: Inspired by the Rock Dove, and is named Fly Free to symbolize letting go. 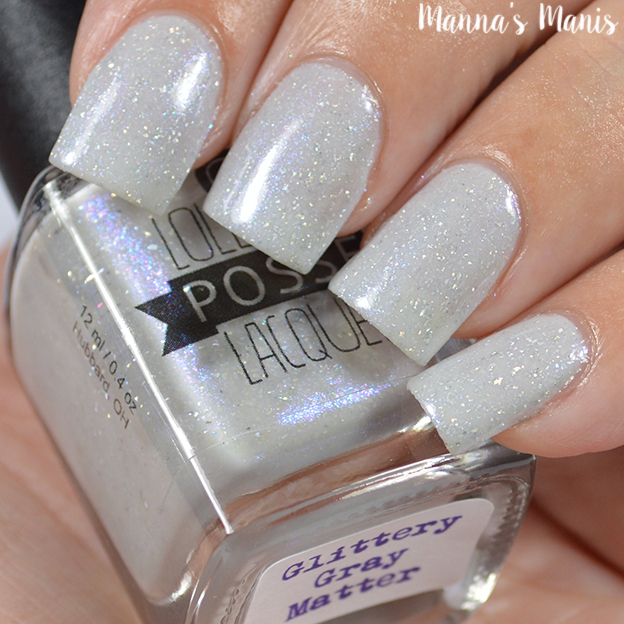 Jen tragically lost her mother recently, so this polish is very special to her. 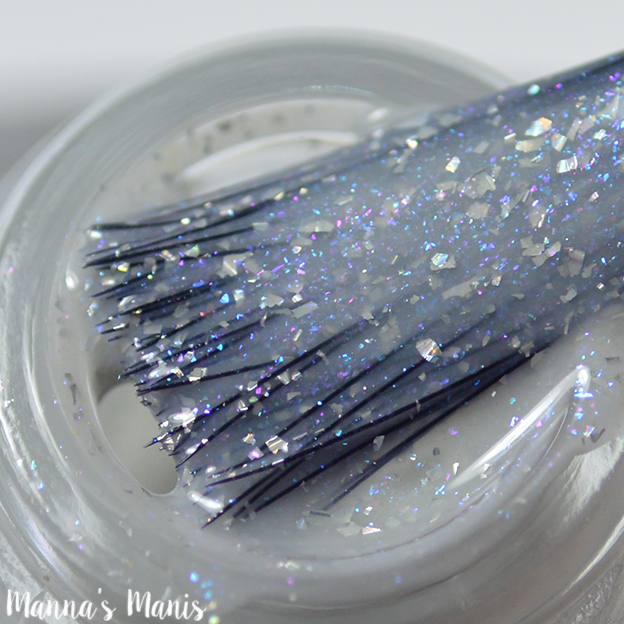 Description: Pale grey, almost white crelly with blue and purple shimmer and a scattering of holo micro flakies. Application & Formula: Formula was a tad bit thicker than I prefer, however I had no issues with application. 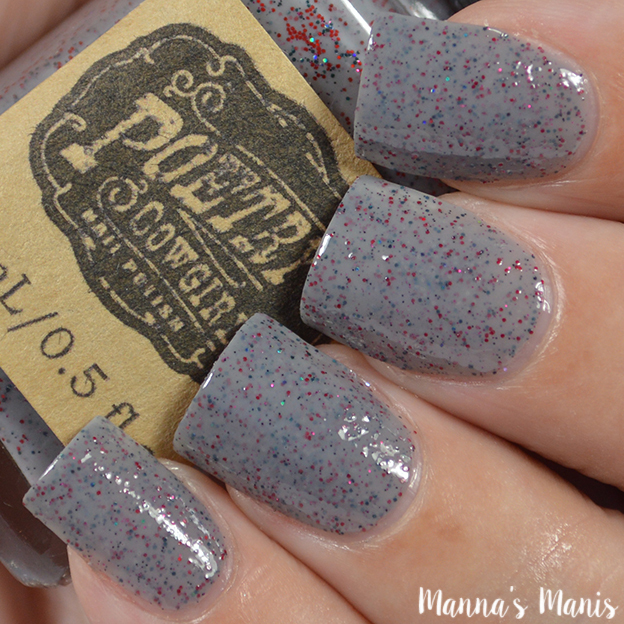 Misc: Another polish that is special to the blogger, this will be Amanda's last box with us! She has decided that she will no longer continue blogging, and will pursue other interests. Amanda has always been one of my favorite bloggers, and I'm sad to see her go. She will continue to be involved in the community though, so I'm happy about that! 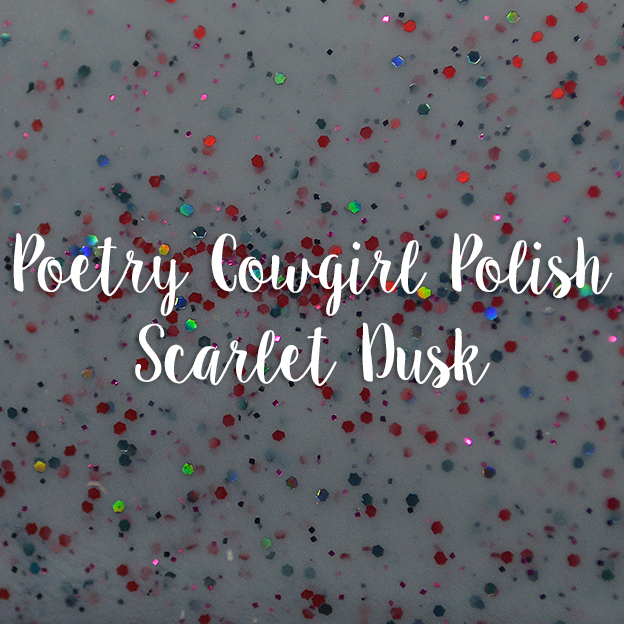 Description: Medium grey crelly with bright cherry red matte glitters with black and burgundy micro glitters. 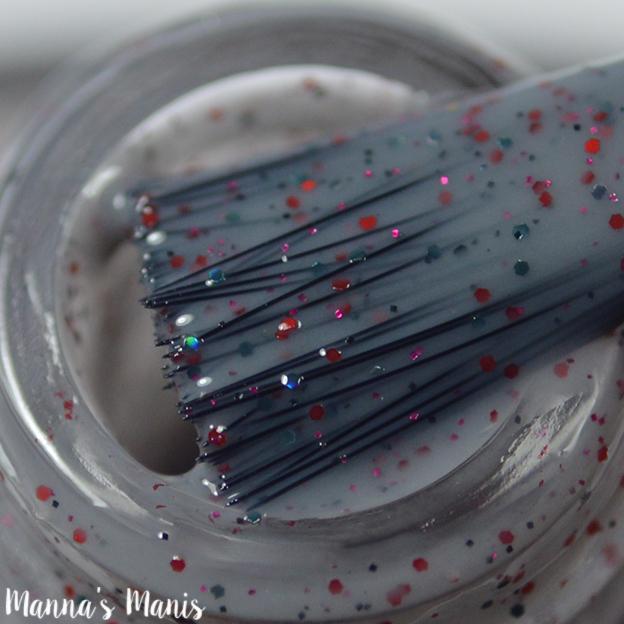 Application & Formula: First coat was super sheer for me, but no issues with application. 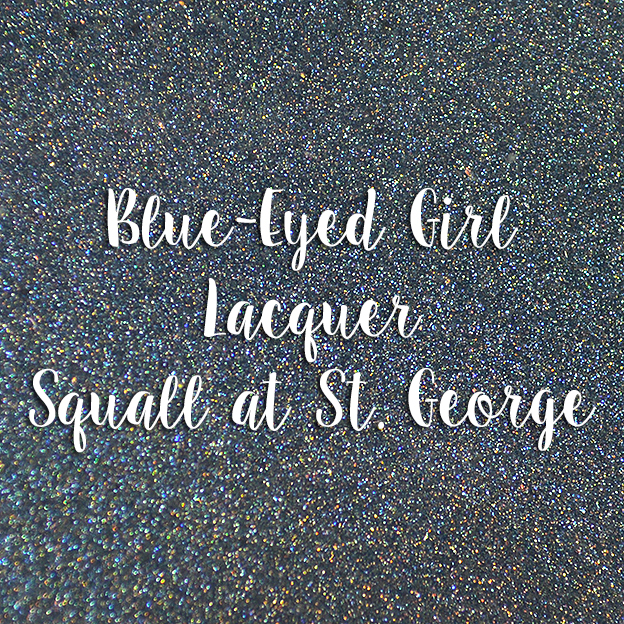 No glitter clumping, which is always a plus! 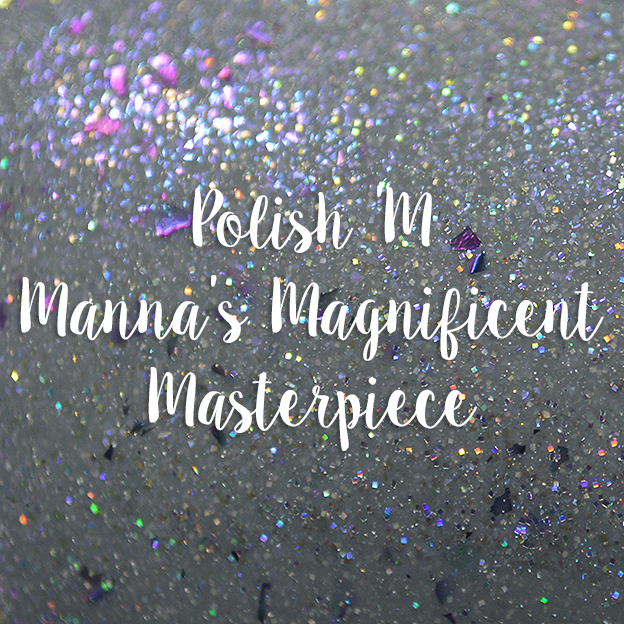 This polish does dry kind of gritty, so you will more than likely need to double up on the top coat. 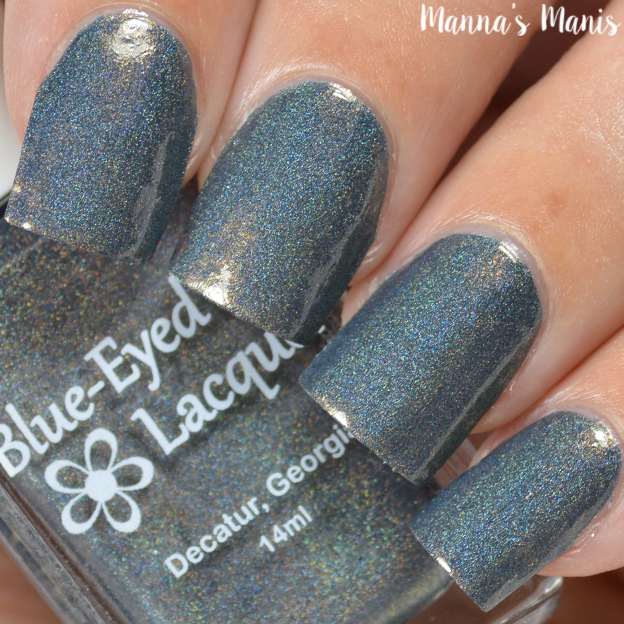 I did not double on top coat for the pics, so you could see how it would look with only one layer of top coat. 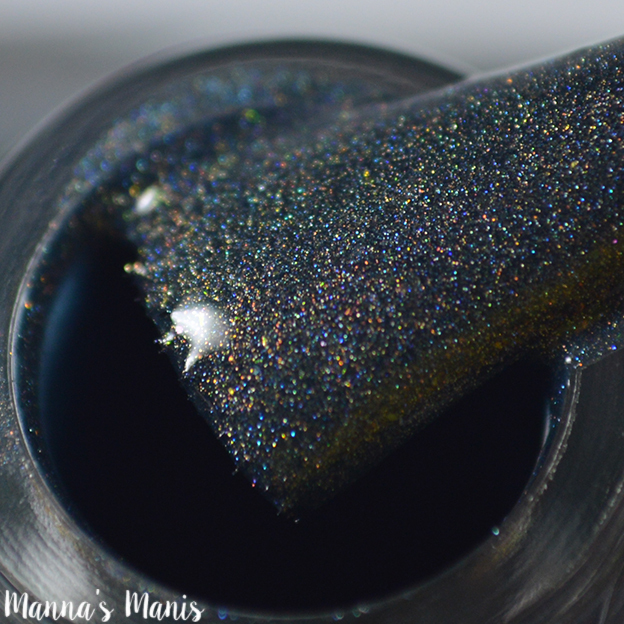 Description: Blue-grey light linear holographic with strong fine orange shimmer, orange shimmer, gun metal microflakies, and red microflakies. Application & Formula: Amazing formula and flawless application. This can be pulled off in ONE coat! I was pretty skeptical about how this box would turn out. 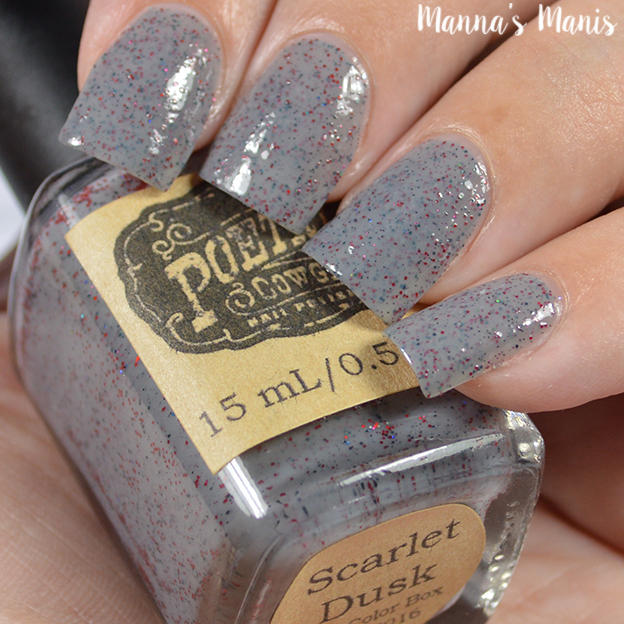 It's not that I don't like grey polishes, I was worried we would all have pretty similar finishes. Again..I was wrong! This box turned out amazing and I'm so proud of my fellow bloggers and makers! Price & Availability: Pre order begins September 19th and ends September 26th. Price is $45 + shipping. Ships internationally! 8. Giveaway runs from August 29th until 11:59 pm EDT September 12th.